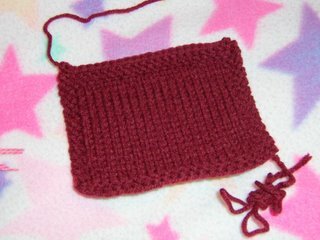 Here is my gauge swatch for the sweater I'll be doing. Specs: I'm going cheap here and using 100% acrylic Red Heart, but I have no money to be spending on expensive yarn, however much I want it, so I'm hoping it will soften up with washing. I'll be sending this swatch through the wash tonight so I'll have to report back the results. It's a deep red color, pretty close to the picture. Needles: size US 8 for body and US 6 or 7 for ribbing (probably 7 because it's already really tight with the 8's but my gauge is spot on). Ok, I'm starting to stress out. Not only is this *hopefully* going to be my first completed sweater, but it's also my first time designing a garment. I have some things to help me, but since I only have 16 days, I'm trying to really plan it out in advance. 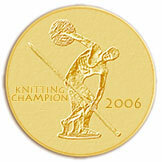 I really want to start knitting already. The suspense if it's all going to work out is killing me! Here's a sketch of what I'm thinking so far. I've been doodling and figuring on a bunch of different scraps of paper, but this gives an idea of the overall look I'm going for. I might be re-thinking the sleeves. Since we're quickly moving into spring I'm probably going to make them just above the elbow. But I want this sweater to fit like some of my favorite shirts, fitted in the bust, then straight from there down to the hip so it's looser around the tummy area. It's going to have a very low scoop neck and I hope it will look cute over a collared shirt. 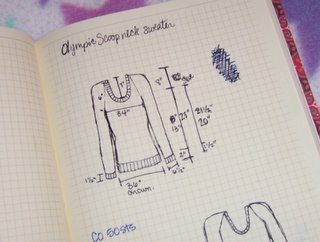 I'm planning on top-down raglan but wondered if it's easier to do a scoop neck on a raglan from the bottom up? Anyone know? I worked all the needle issues out, so if I'm not quite finished with Clappy before Fri. it's not the end of the world, but she's coming along, growing at a steady rate. In other news, I got sick over the weekend and am now battling a cold. Hopefully it won't interrupt the knitting. Wish me luck! I think I'm going to be in for one heck of a ride! I would love to see your handmade books but the links aren't working. I've just started a self-designed cardi that I'm knitting top down. 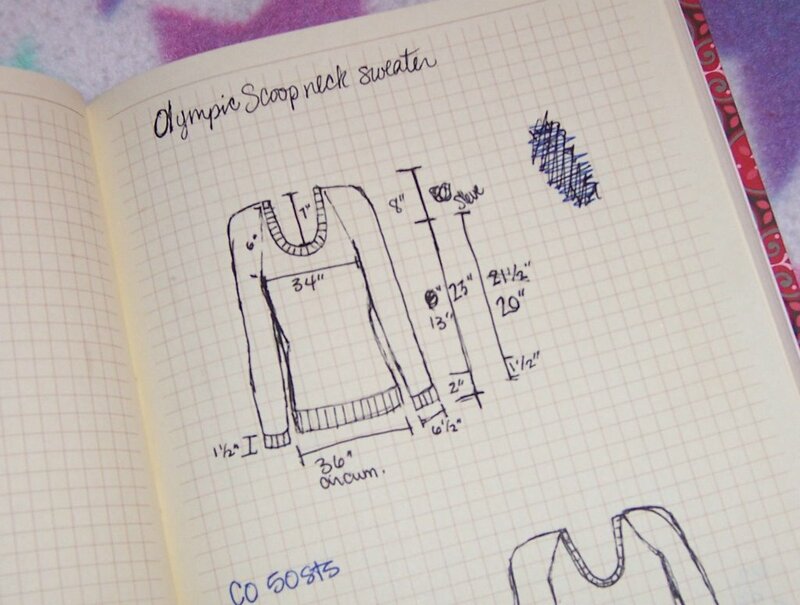 You can use a knitted cast on when you get to doing the scoop neck. It doesn't look all that great on my cardi but I think it's because I'm using chunky yarn. A smaller gauge would probably produce a neater result. Have you seen Wendy's (knit and tonics) 'Almost Cowl'? I think it's top down and looks great.